So I’m currently doing a blogger challenge sponsored by Mango and StyleBible. The theme for this week is metallic. Originally, I was looking for the metallic gold or red blazer and pants combo I saw in Mango’s catalogue. I don’t think they’re in stores yet so I opted for this feminine metallic blouse instead. When I think of the metallic trend, edgy automatically comes to mind. That’s not always the case though. 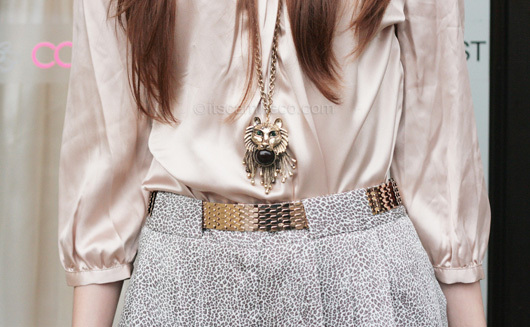 There are a lot of ways to style metallic pieces. It doesn’t always have to be loud or edgy. It can be subtle and feminine too. Try metallic pieces in light/pale colors and pair them with pieces from the same color palette. 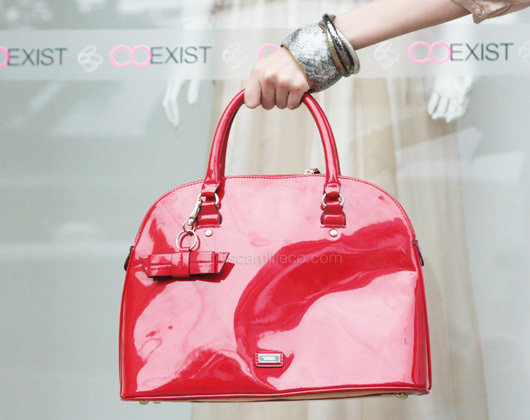 You can still add a few other colors in, just like my bright red patent bag. It’s always nice to add a little surprise or two to break the monotony. Finished my look off with these animal print shoes. Couldn’t resist doing a subtle print on print action!